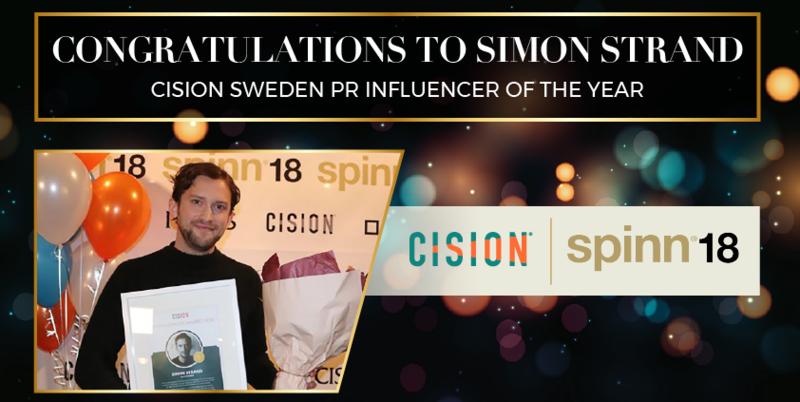 Simon Strand is Sweden’s most influential PR consultant in digital channels and was awarded the Cision PR Influencer Award 2018 at the Spinn gala in Stockholm last week, Cision’s Oskar Larsson reports. 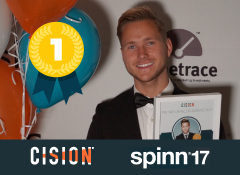 For eight consecutive years, Cision has sponsored the annual PR awards Spinn Galan in Sweden, and as a prominent partner have created a special prize for the most influential PR consultant in digital channels – the Cision PR Influencer Award. Last year, Viktor Frisk was our winner, and in 2018 we’re thrilled to announce the holder of the title is Simon Strand. 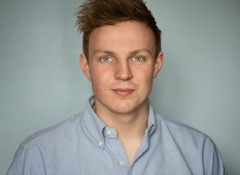 Strand runs the PR agency 500 and has appeared frequently in Swedish national news during the year for his ability to mobilise his digital followers to take action in real life. One of these campaigns concern one of Sweden’s most prominent football clubs, AIK Football, of which Strand is a dedicated supporter. Prior to the AGM, he proposed an alternative board proposal and managed to garner 924 votes to achieve a change of the board. 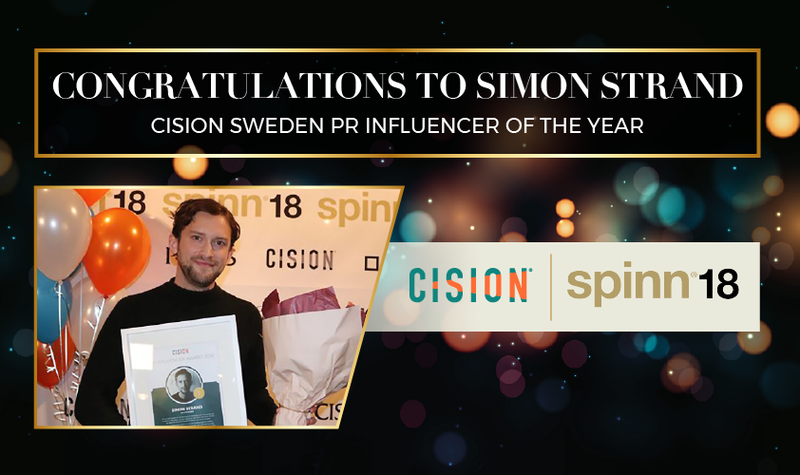 Ulrika Peyron, marketing manager Cision Nordics, said of the winner: “Simon’s engagement and ability to influence others shines through everything he commits to. With the stories format a focus for this year’s award, this was a major factor for why Simon is placed at the top.